On Wednesday, Pope Francis will receive a bust of the three-time F1 world champion, designed by Paula Senna Lalli, the pilot's niece. 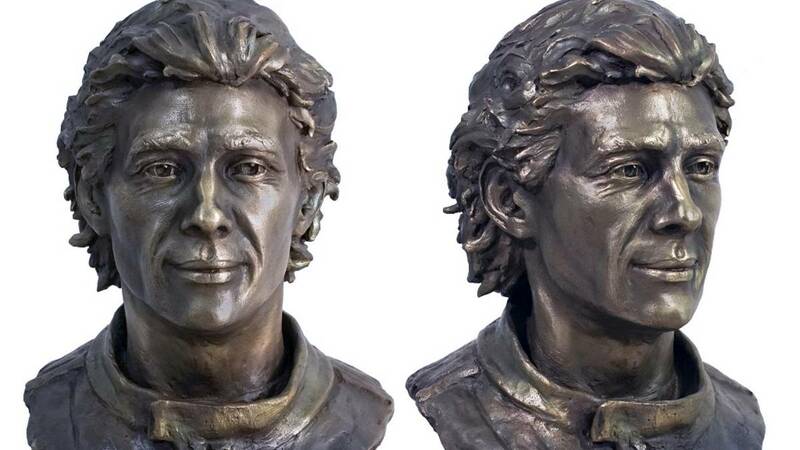 Puerto Francisco will receive a bronze sculpture of Ayrton Senna on Wednesday at his Vatican headquarters, which will be presented as a tribute to the three-time F1 champion in honor of the 25th anniversary of his death. The work "Meu Ayrton", carried out by Paula Senna Lalli, sorbina of the pilot, will be delivered by Bianca Senna, another of his nieces and director of the Ayrton Senna Institute, and will be part of the collection of the Vatican Museum. The sculpture, which began its completion in 2016, was commissioned by Neyde Senna, mother of Ayrton, and will be part of the saga "My Ayrton". "I proudly received my grandmother's order, , who wanted to portray with affection the way he was remembered by the family." I accepted the challenge despite the difficulty of the task Similar works of this type are approved by our family ", declared the author of a bust that will be presented as a gift for the Pope and also, for all the fans of the pilot. La religion was a fundamental pillar in the trajectory of the Brazilian. In the Eau Rouge of the circuit of Spa, Senna assured that he spoke with God in his passage through that curve and Claudio Giovanonni, personal friend of the Senna family and connoisseur of the faith of the pilot, was the one who proposed to make this gift to the Pope in an attempt to honor the values of the three-time champion .